I wanted to better myself and so I made a choice to return to school, get my education, and have a career. I went to NSCC Colchester Campus and took level 2/3 (Grade 10/11) the first year and the second year level 4 (Grade 12) I graduated with Honours both year. 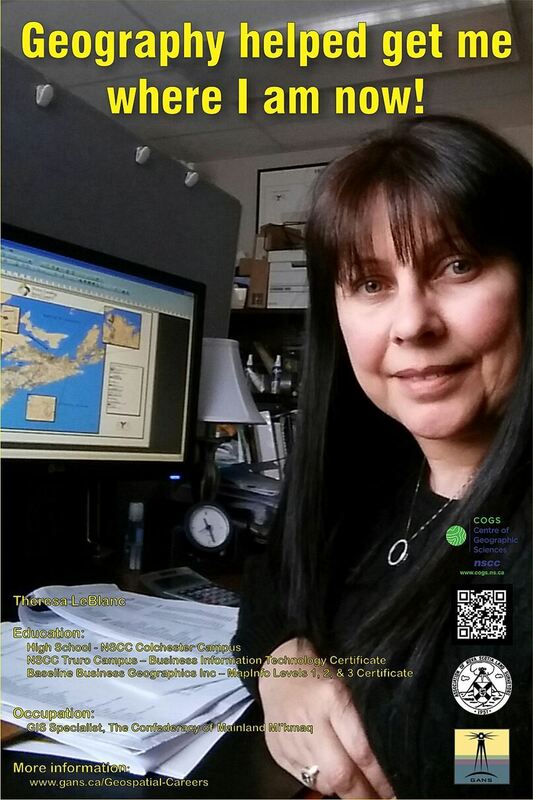 Then I enrolled at the NSCC Truro Campus and graduated from the Business Information Technology program. While attending NSCC Colchester Campus, I tutored other students to help them achieve their goal. During my time attending the NSCC Truro Campus, I worked and looked after my children at the same time. I have been employed with The Confederacy of Mainland Mi’kmaq for a little over 18 years, starting at the Micmac Heritage Gallery in Stewiacke. Throughout my time at CMM I have moved from the Receptionist position, answering phones and recording mail, to typing letters and providing support to all staff. In 2000 as I was working as an IT clerk an opportunity arose for me to participate in Geographic Information Systems training using MapInfo software. With the rising need for mapping and digital data, I became the GIS Specialist and assisted in the development of a GIS unit under the Technical Services program at CMM. I am responsible for developing and maintaining geospatial data and mapping for a number of CMM programs as the GIS Specialist. I also have training in GPS, which I use in the day-to-day functions of Technical Services as well as other programs such as Mi’kmawey Debert, First Nations Forestry, Lands Administration, and Environmental Services to name a few. I have played an integral role in the Civic Address Project for seven Mi’kmaw communities, and have assisted in providing digital mapping for other programs administered by CMM. Since my initial GIS training, I have had the opportunity to take numerous addition courses to further my education in Geomatics. I have earned certificates in many additional GIS related packages. I am a member of the Bear River First Nation, and currently reside in Truro with my partner Phil. I am a mother of two sons, Daniel and BJ and in my spare time I enjoy playing bingo, doing crafts, and going to the movies.